Lands' End Opens New Staten Island Store in Time for Back-to-School Shopping | Lands' End, Inc.
DODGEVILLE, Wis., Aug. 15, 2018 /PRNewswire/ -- Starting today, shoppers in the New York area can find the iconic brand's classic apparel for men, women and kids when they shop the new Lands' End store at the Staten Island Mall, 2655 Richmond Avenue. The Grand Opening celebration takes place this Saturday, August 18, at 10:00 a.m., with a ribbon cutting by Chamber of Commerce members and a meet-up with the local chapter of the nonprofit MOMS Club. "We're excited to offer products for the entire family to Staten Island shoppers, many of whom have been loyal customers for decades," said Claudia Mazo, senior vice president of retail, Lands' End. "The new store is a place where everyone can experience in person our fit, quality and products with a purpose, just in time for back-to-school shopping." The store offers digital technologies—such as checkout anywhere in the store and a digital kiosk—that enhance the customers' experience, making back-to-school shopping easier. For example, at the kiosk, shoppers can find the full Lands' End collection online at landsend.com, including school uniforms. Lands' End School provides uniforms to more than 5,000 schools across the country, including some in Staten Island. Through the kiosk, parents will find additional sizes and the recently launched Universal Collection, an inclusive line of adaptive clothing designed for easy dressing. Kids' tops and bottoms look just like the best sellers, but with new innovative features such as rip and grip closures and sensory friendly seams. Coming soon, parents of kids at uniform schools can find the right fit for their child's uniform at the Staten Island store, which is one of several try-on stores in the U.S. Store orders come with free shipping. Staten Island is the third of the four to six stores Lands' End plans to open in 2018. 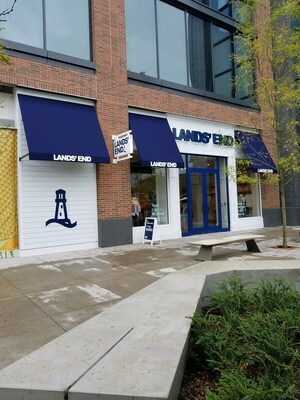 Earlier this year, Lands' End opened a new store in Kildeer, Ill. and Burlington, Mass. 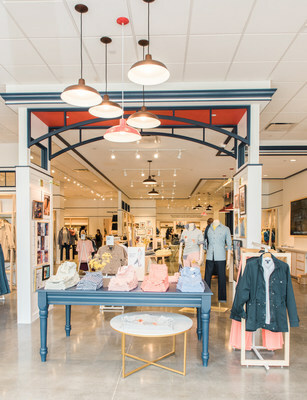 This brings the total number of Lands' End stand-alone stores to 14 locations in the U.S.